A high performance cleaner designed for cleaning various types of surfaces prior to self-adhesive film application. 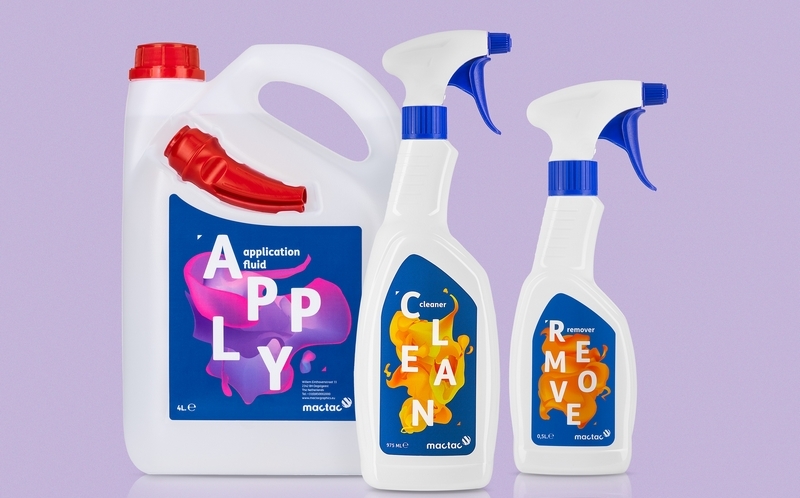 Mactac Cleaner removes the most common residues (such as dirt, wax etc.) as well as everyday pollution, in order to optimize application of the film onto the substrate. Mactac Remover is a powerful solution designed to remove adhesive residue from substrates. Its specific formulation allows outstanding and rapid cleaning of surfaces following the removal of self-adhesive products.